WordPress is one of the most popular and most efficient blogging platforms out there. Apart from being user-friendly, free of cost and feature-rich, WordPress is also recommended because it has a multitude of plug-ins to download in order to make your blogging experience a much easier and faster one. LinkWithin is one such WordPress plug-in which helps in increasing your blog views and the number of minutes visitors spend on your blog. Lets get more detail about LinkWithin. You must have visited some sites which contain a number of links to recommended articles or products which you can refer to once you are done on the current page. Most of these links are very addictive, and encourage you to stay on the site for a long time. LinkWithin is a WordPress plug-in that makes the process of including such links very easy. All you have to do is to enter your blog’s information and paste a few code lines. For a majority of bloggers, this widget proves to be a nearly-perfect solution. The functionality of LinkWithin is pretty straightforward. 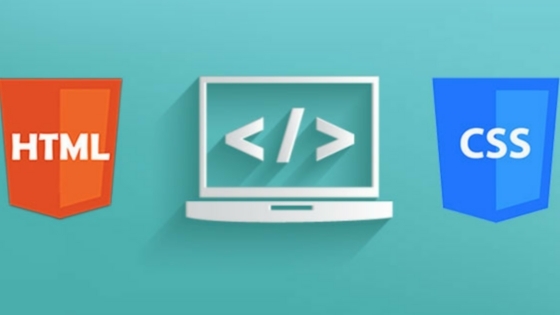 Just visit their website, enter your blog details, and as per your blogging platform, you either install a plug-in or copy and paste an embed code into your template. Once you have done that, your site starts getting spidered. With the help of an algorithm, LinkWithin will start finding posts in your blog which are associated with each other. This process may consume several hours and the recommendations made during this time may not make any sense. Within a matter of 2-3 hours, the results being displayed may seem to be really good. Once such results start appearing, you will be able to see a list of recommendations at the foot of each post. 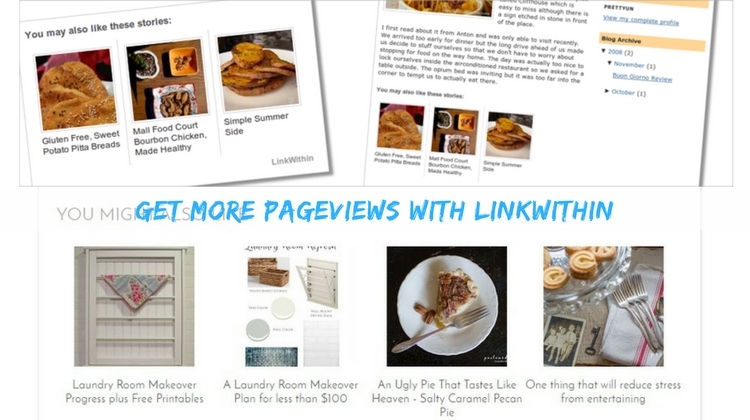 Sometimes, LinkWithin may also include image for the post with each recommendation. If you do it correctly, you can create an attractive and a well-targeted content for your blog. The best thing about LinkWithin is that it is extremely simple to use than most other similar applications. Whether you are using the embed code or the plug-in, all you have to do is to select the available options, upload the code and wait. LinkWithin will do the entire task for you automatically. 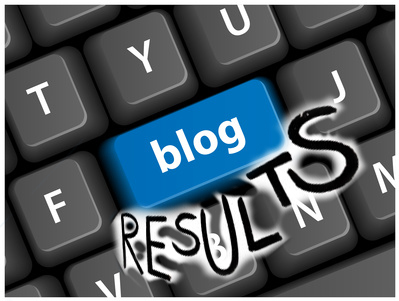 During this process, it selects relevant thumbnails and posts in your blog. Though they may not be perfect initially, the algorithms are at least as good as other related posts plug-in. Its selection of images is also very solid and relevant. Though it may take some time to index your site, you will be pleased with the results once it is done. 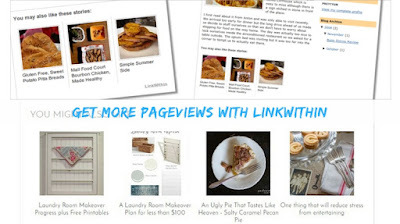 Finally, LinkWithin is sure to work towards increasing your page views. Once you install it on your site, you will start noticing an increase in the number of visitors visiting your site and the number of minutes visitors are staying there. The difference may not be drastic, but it is really noticeable. All in all, it is a great plug-in that works, loads fast and is really simple to use. Internet is no more limited to computing and programming. Now-a-days, people are using it to buy things too. 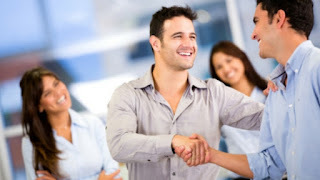 There are several ways with which you can earn good amounts of money through Internet. 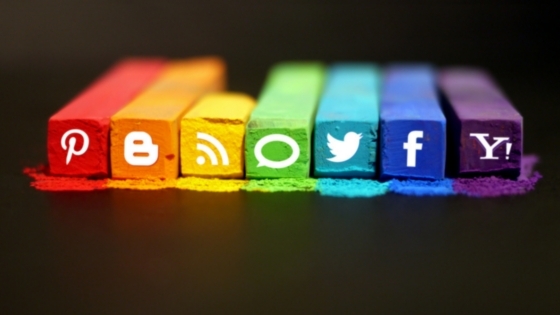 No business is complete without having an online presence. Due to vast usage of Internet, you need to have a website in order to gain access to your customers all around the world. If you are also planning to build a website, then make sure that it becomes a success in the long run. Here are the top keys with which you can meet success with your website. If you strongly feel about something and if you really enjoy working for it or even talking about it, then choose that topic for your website. Your passion will surely show in everything you do on your site. Even if you are an expert in a field and you are quite knowledgeable about it, you cannot develop passion for it if that topic bores you or if you are not interested in it. Choose a topic for which you are passionate about. 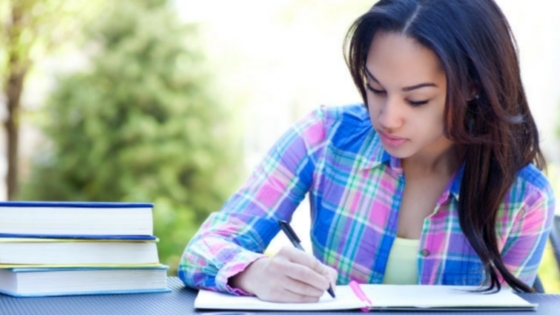 By doing this, you will excite your readers with whatever you write on your site. Without passion, you will not be able to keep your readers engaged, and they will surely quit and click away. 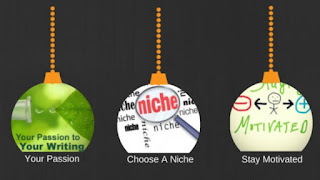 Once you have found something that you are passionate about, search for a niche that is really needed in your site. Whether you are trying to target a new audience, a sub-topic in that field or a new slant or angle, you should try to include something really unique in your site. Go through several related sites and see what topics they have covered. Even if that is not a very successful site, you can use its topic, present it in a better way and make your website a success. 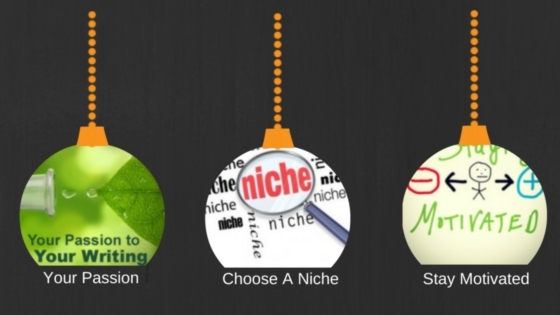 By choosing an under-served niche, you will be able to establish yourself first before you move into the larger field. If you are starting out to create a website, it is better to start small. With billions of Internet users out there, you will find several potential customers who are interested in niches that are impossibly small. If you offer some unique info to your targeted readers, you will definitely find your audience. You need to understand that once you have built your website, it may take several months, even years to achieve the desired success. Once you have published your web content, you will have to stick with it, keep it updated and grow it in an old fashioned way and wait for it to gain success. Usually, the first 6 months are the right time to post good content and make it popular by promoting. You may not receive immediate returns, but they will surely pay off in longer run. If you have chosen a unique niche, some people may initially tell you that you are crazy, but you should not loose heart and do something so that those people are proved wrong. In today’s world dominated by Internet, almost every company has online presence. If you do not want or cannot afford to hire a professional website developer or if you just want to start out on a small scale, you can use WordPress to create a blog of your own. Basically, it is a blogging platform for companies and individuals, but it is possible to develop a complete website too with it. 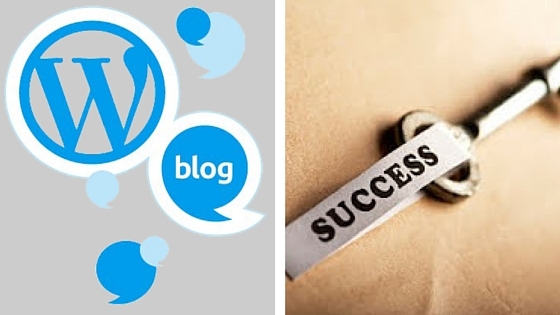 Developing your blog with WordPress blogging platform has several huge advantages, as it helps in developing, designing and managing your blog very easily and efficiently. 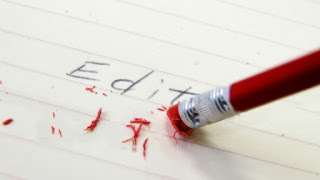 First of all, it eliminates the need to hire a technical expert or webmaster to develop and manage your blog. WordPress has a very user-friendly admin section which you can use to completely control everything on your blog. Setting up and installing WordPress is very quick and easy. In addition to that, maintaining your WordPress based blog is not a complicated task. As far as CMS web designing is concerned, WordPress is relatively flexible. While developing your blog or site with WordPress, you have a multitude of high quality content management features and tools that you can use. WordPress has amazing graphics that you can use on your blog, in addition to hundreds of pre-designed themes. Another great benefit of using WordPress is that it has a multitude of amazing plug-ins and add-ons to offer. You can use different add-ons to add different functions to your blog or website. Therefore, you do not need to spend a lot of time and efforts to look for the suitable application. All you have to do is to download the add-on and add the specific functionality to your blogging experience. You can use these add-ons to do different tasks on your blog, such as Google Analytics, contact page without giving your email, FAQ page or adding different media. Being a search engine friendly platform, WordPress works well for most of the optimization strategies. It helps you in optimizing your blog in such a way that it receives a better search engine ranking on almost all major search engines. In other words, WordPress is helpful in driving more traffic to your blog, thus creating increased sales generation possibilities. In addition to all these, WordPress can make the cumbersome task of managing your content a lot faster and easier. It allows you to easily update and manage your blog’s content, even if you do not have high-end technical knowledge on doing that. With all these benefits and features to offer, WordPress is sure to make your blog a success without too much effort. In order to receive the best results, do not forget to install WordPress plug-ins on offer. 1. The Devil’s Advocate Post: If you generally write post in support of a particular idea. This time, consider flipping it around and write from the other person’s point of view. Try to mention arguments and have a perspective from the opposite side. Your point should be mostly to represent the opposite side in a manner that they can understand it better. This may be a risky task to do, especially if most of your audience follows your current point of view. But you need to clear it beforehand what you are trying to do, and such posts will surely attract lot of discussion and comments. 2. Top 5, 7 or 10 list: Find out what your audience is particularly interested in within your blog. Remember, your top 10 list does not necessarily need to be top best, it can be top worst list too. Just put the things in order and give your audience something to debate and think about. The best thing about such posts is that they can be a great platform to include links, directing readers who do not generally visit your blog. Such posts are not only easy, but they also have value to grow your presence. 3. How to post: If you know how to do a task that others don’t, you can write a post to describe it. Such posts are a great platform to include step-by-step instructions, video and images. Even if you think that most people already know how to do it, you will be surprised to find how many people do not know and such posts can be helpful for such people. As ‘how to’ is a common search term, such posts can also be helpful in increasing your search engine rank. 4. Review post: If you recently bought a product, you can post its review on its blog. People regularly search for reviews, especially when they want to buy that product. Therefore, such post can be quite compelling in attracting search engine spiders. 5. Anecdote: If you have a story to tell, tell it on your blog. Focus on a tiny incident or conversation that recently happened. Keep your post short and compelling. Do not make it personal, not even philosophically. Such posts are a great way to connect with your audience in a different way. If you want a quick idea to post about, use one of these ideas to get going. Even if you already have an idea to write about, you can structure it in the manner of any of these ideas. When you run short of ideas, these great post ideas can come to your rescue and give you something to write on. Hosting your blog on your domain: If you are planning to make your blog a long term marketing device, then blogging platform like TypePad and BlogSpot may not be the right choice for you. Although such platforms are user-friendly and successful, they cannot represent professionalism and you also do not have your own URL. Platforms like WordPress allow you to have your own domain, which can be a wiser choice for a blogger. If you have a domain of your own, you have the freedom to select your platform. Publishing posts at balanced pace: It is important to keep your blog updated, but some bloggers publish too many posts within a short period of time. You need to understand that your potential readers may be busy and you should give them enough time to read your posts. If you post too frequently, your readers may miss some of your posts and this may break the chain. Claiming blog through Technorati: If you want to promote a product or service with your blog, Technorati can give you the additional traffic boost you might be looking for. Even if your blog aims at sharing information, Technorati can help in making it more popular and increasing traffic. Allowing comments: Once you have created your blog and shared posts, ask the readers to share thoughts and comment on what they have read. In this way, you will get to know what other people have to say, what shortcoming your blog might have and what you can do to make your blog more successful. Changing ‘About Us’ on WordPress: If you are using WordPress to serve as your blogging platform, use its ‘About Us’ page to give some information about your company or niche. Monetizing your blog: Even if you are blogging just to enjoy, do not do it for free. If you are blogging to share some valuable information in your niche, you can consider placing an affiliate program like AdSense and Amazon on your side bar. As they will appear with each new post, you get an opportunity to earn money with every post. Take care of your blog’s content: Your blog’s content is of utmost importance as far as gaining and maintaining traffic is concerned. Your content should be rich in keywords and free from any grammar and spelling errors, should have a good structure and be visually appealing, and should open up fast. If you follow these tips while blogging, you will very soon join ranks of most successful bloggers out there. There may be a multitude of ways with which you can optimize your website and attract more visitors. But how do you know whether your efforts are meeting the desired results or not. You also need to gain more information about your site’s visitors so that you can take effective steps to meet their expectations. After all, it is significant to monitor your visitor’s movements inside your website. By doing this, you will be able to know which part of the website is most visited by your potential customers and audience, and where they stay longer. Monitoring your website’s visitors is like receiving feedback from your customers. This can help you in improving your website more as per the preferences of your visitors. Unique visitor is a single person who visits your website for as many times. 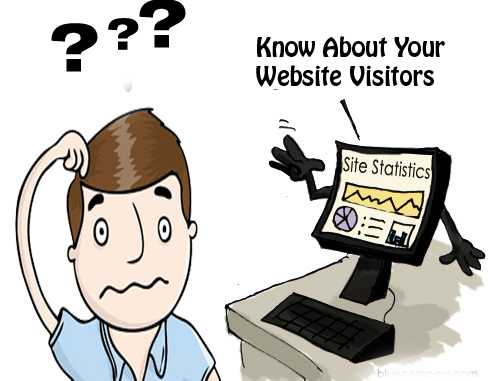 For instance, a unique visitor may visit your website several times within a number of days. Unique visitors generally mean unique IP address. By knowing the number of unique visitors to your site, you can know how many loyal readers you have and what they expect from your site. You also need to know for how long your visitors are sticking around on your site. Your meta tags and title tags may be attractive enough to entice readers to visit your site. But the content inside your website should be high in quality and engaging enough to hold your audience. The visitors may visit your site in search for useful information. But if they do not find anything worthy on your site, they may decide to click away. They may also click away in case your web pages take too long to load. Therefore, your web content should be informative, high in quality and light enough to load quickly. Knowing the geographical location of your visitors can tremendously help you in making changes to your site and optimizing it as per the requirements, preferences and expectations of your potential visitors. There are different trends and fashions in every country, and you can optimize your website as per your visitors’ geographical location. You need to know which sources are referring visitors to your website, so that you can work more efficiently to improve them. For example, if your visitors are directed to your site from a particular site’s link, then you may consider backlinking to more of such sites. Knowing which devices your visitors are using to visit your site can also help in understanding your visitors’ needs and expectations. For example, your web-based site will not open as efficiently on a mobile phone as a mobile-based website. Therefore, in order to make browsing experience faster and easier for your visitors, you need to know which devices your visitors are using. By knowing all this information about your website visitors, you can make changes in your site, track your progress and know whether your efforts are giving fruits or not.